If you suffer from anxiety and/or depression, it can often feel very lonely, confusing, and simply exhausting. People without these mental disorders will often tell you to just snap out of it, or think about something else. Because of these misunderstandings about mental illness, anxiety and depression can feel like a prison that only you occupy, and only you can possibly make sense of. Due to her own battle with mental illness, specifically anxiety and depression, British cartoonist and illustrator Gemma Correll decided to make artwork using humor to portray what having these mental disorders feels like. With a BA in Graphic Design, she decided to put her skills and degree to good use and help other people understand anxiety and depression by using humor to get her message across. Her main goal in publishing these illustrations is to erase the stigma surrounding mental illness, and get people talking about their problems more openly. In her own words, “I honestly think that humor can be a savior at times of distress or, if you just live with a constant level of anxiety and depression like I do. 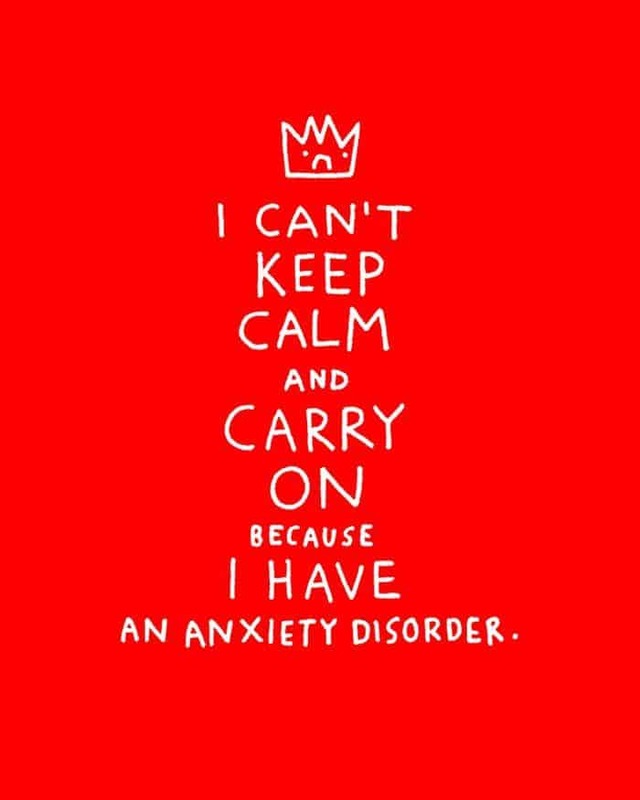 I do think that people should speak more freely about anxiety. I know that I would have felt a little better as an anxiety-ridden teenager if I knew that I wasn’t completely alone in my fears”. If you get the chance, please visit her Facebook page to show her some support, and feel free to message her or post on her wall if you struggle personally with any sort of mental illness. People all across the globe have shared their stories on her Facebook page, which shows the tremendous impact that Gemma’s artwork has on the public. If you suffer from anxiety and depression, you will likely relate to the following pieces of art. 8. Keep Calm And Carry On? Nah.